One very easy way to detect leaks is to look for ceiling tiles. 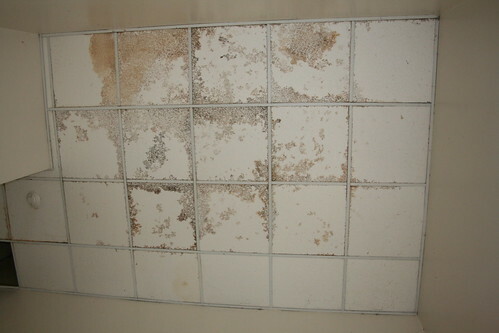 Still, once you recognize there is a leak, there is an expectation that you'll replace the moldy, discolored tile. It was not a priority for the owners of this hotel.